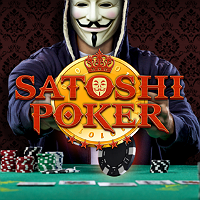 Due to the rising popularity of bitcoins, Satoshi-Poker was founded in early 2013. Upon entering their domain, you will surely be welcomed by the promise of a “rewarding experience.” And it can be fully achieved with the aid of the advantages they have for you. They claim to offer the lowest rake with only 2%, standard rakeback of 20% to their players, lightning fast deposits and withdrawals, play anonymously, as well as no country restrictions. Satoshi-Poker offers only one card game and that is obviously Texas Holdem Poker. Also, it being “Satoshi” the only payment method accepted here is bitcoins. In addition, English is the only language offered and used in this site. Promotions are also offered in this Bitcoin online gambling site. First is that they have freerolls. They hold s100 freeroll every 3 hours; s500 every night and a freeroll of s1000 on a Sunday night. Second are the guaranteed tournaments. They host multiple tournaments with prize pool throughout the day. In nightly tournaments, they guarantee a prize pool of 2.5 BTC. And every Super Sundays, no less than 5 BTC is the guaranteed prize pool. This site also offers a Refer-a-friend Bonus wherein you can earn 5% on all of your referral rakes for life. You can also earn in what they call “Satoshi Bad Beat Jackpot.” In this promo, you must lose with four of a kind jacks or higher and you will definitely earn a share out of their bad beat jackpot. And last but not the least is the “Rake race” wherein the player who produces the most rakes in cash games will get a 100% rakeback on his cash games. There are three main steps to follow to certainly experience Satoshi-Poker wonders. First is to download their “victorious and secure client” for free. After that, you have to register to join their community, and lastly is to start playing and earn bitcoins. 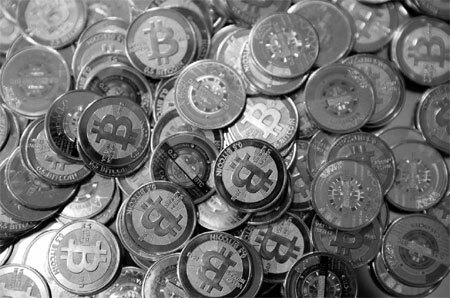 There are also other ways to get bitcoins, click here to read more about them. Furthermore, Satoshi-Poker provides an extraordinary customer support as they utilize a support ticket system. Each support request is assigned with a unique ticket number which is used to track the progress of your request online. They also provide complete archives and history of all the support requests you have done. And for this to use, you must provide them only one thing, an email address. When it comes to graphics, Satoshi-Poker provides an outstanding one. The very first time you enter their domain, you will be amazed by the enigmatic feel of the design as well as the man wearing a poker face. Their game platform is also great as it is authentic and modern. All in all, Satoshi-Poker is a good Bitcoin poker site. Not only because it offers the advantages that bitcoins have, but also because of the great and exciting bonuses it provides.